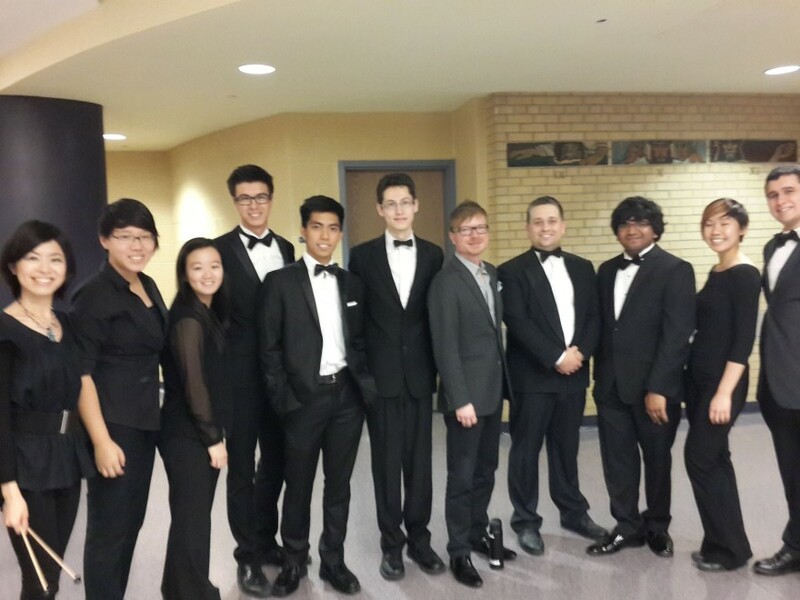 Throughout our 24 year history, the Toronto Youth Wind Orchestra has been fortunate to work with some of the world’s finest modern Concert Band composers. From working with James Curnow in 1994, Eric Whitacre in 2005, to performing under the baton of Johan De Meij in 2012, workshopping with Frank Ticheli in Los Angeles in 2013, and not to mention rehearsing with the legendary Canadian composer Howard Cable just this past season. But it was during TYWO’s recent tour to China where the concept for our latest composer collaboration began to take shape. While our musicians were enjoying a day off in Shanghai at the ancient water town of Zhujaijiao, the subject of repertoire for the following season came up in conversation. Our exuberant musicians of course listed many pieces for consideration – but one composer whose name kept coming up, was American composer John Mackey. Strangely enough, TYWO had never performed a Mackey piece, so our Artistic Director, Colin Clarke decided that it was time we changed that. But which piece to pick? With so many great suggestions from excited musicians well versed in the oeuvre of John Mackey, the idea of an entire concert featuring Mackey’s works started to sound more and more plausible – and would also be a TYWO first. 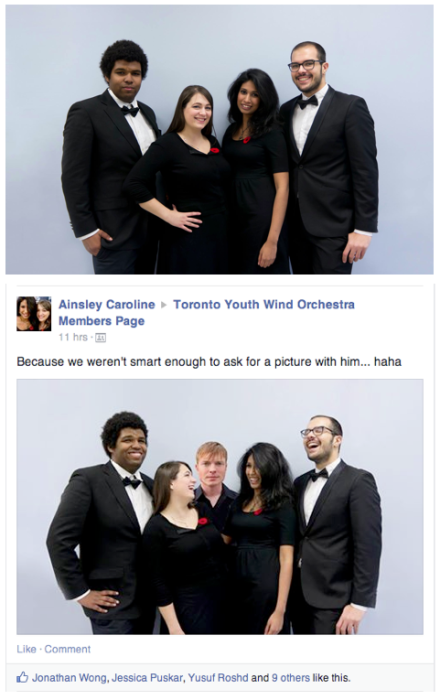 So, from his hotel room the middle of Shanghai, Colin fired off an email to Mackey in Boston, Massachusetts, with the idea of flying him up to Toronto to spend some time with the Wind Orchestra and Symphonic Winds followed by a concert, the likes of which TYWO audiences have never seen. So after weeks of rehearsals, Mr. Mackey arrived in Toronto – and the effect was instantaneous. Both ensembles played their pieces in a way they’d never been played before, a phenomenon we have experienced working with composers in the past. Something about playing music with the composers in the room, it just gives the musicians a magical boost! 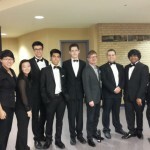 Both ensembles left Sunday’s concert feeling like they’d been a part of something special. This was the first time John Mackey had been invited to Canada to showcase his music, but will undoubtedly not be the last. One very enthusiastic audience member yelled out the suggestion that John should “change his citizenship!” When he does return, we will welcome him back with open arms, and until then have many more pieces to play to work through the Mackey catalog. TYWO is all about creating unique experiences for our young musicians, and we are very fortunate to be able to play the pieces, meet the composers and discuss the music – something not so easily done with the likes of Grainger and Holst! 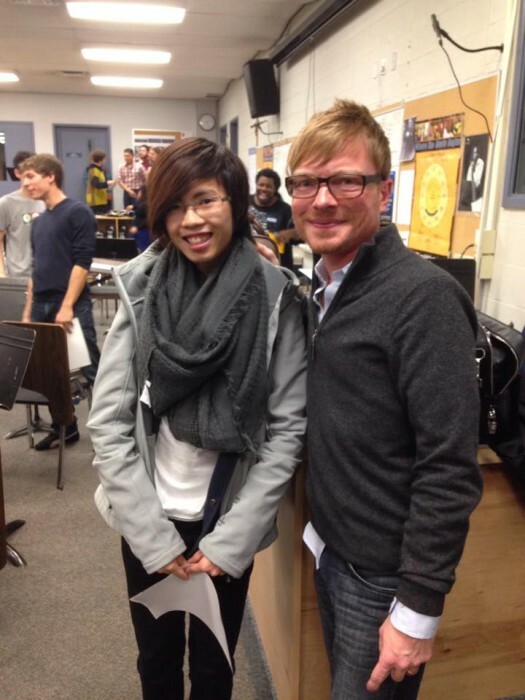 So thank you, John Mackey, for inspiring our musicians to keep playing and to maybe one day follow your footsteps into the wonderful world of composition. For more information on John Mackey, visit his website at www.ostimusic.com.